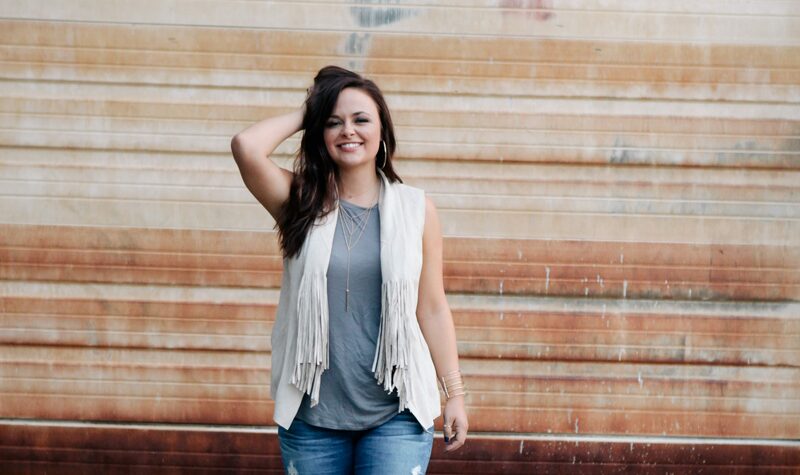 Nashville native and a sophomore in the Mike Curb College of Entertainment and Music Business, Caroline Watkins, was recently selected as the second recipient of the ‘Women Creators’ scholarship, established in 2015 by reigning Academy of Country Music Female Vocalist of the Year Miranda Lambert. The scholarship was created to honor a female Belmont student who is majoring in music business, songwriting or entertainment industry studies and is actively working towards pursuing her dream of working in the music industry. The scholarship will provide Watkins with more than $40,000 in scholarship funds for the 2017-18 academic year. Watkins grew up playing guitar and writing songs. In fact, after playing throughout the city in recent years, including shows at Nashville’s iconic Bluebird Café, she was signed last year to a worldwide publishing agreement with Warner/Chappell Nashville. Lambert established the Women Creators scholarship in an effort to encourage outstanding women to follow their passions and pursue careers in the music industry. Candidates for the scholarship are asked to complete an online application and submit an original song. A selection committee from the Curb College then gathers to review the applications, more than 80 for 2017-18, and the top six finalists are sent for Lambert’s review. Lambert raised the funds to continue the scholarship for a second year with her Jan. 24, 2017 club show at Joe’s Bar in Chicago, a rehearsal for her Highway Vagabond Tour, which supported her 2016 album, The Weight of These Wings. Songwriter Natalie Hemby, a Belmont graduate, joined her for the concert. The inaugural “Women Creators” scholarship for the 2016-17 academic year went to songwriting major Anna Vaus, who has since signed her first publishing deal with Black River Publishing. In 1971, Belmont first established a Music Business program designed to prepare young women and men for operational, administrative, creative and technical careers in the music industry. The program grew in both size and reputation, leading to the advent of the full Mike Curb College of Entertainment and Music Business in 2003. Currently home to more than 2,500 undergraduates with majors in six areas—music business, audio engineering technology, entertainment industry studies, songwriting, motion pictures and media studies—the college boasts an impressive faculty of academic scholars and authors, entrepreneurs, songwriters, producers, filmmakers, journalists and sound and recording engineers. It is a world leader in music business and entertainment industry education and the only freestanding college of its kind.